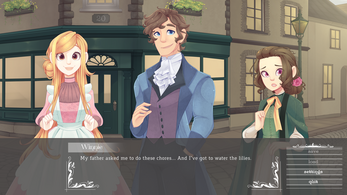 All lines in this demo were made with no specific story in mind and most of them are not meant to answer each other. They are mixed for your enjoyment. 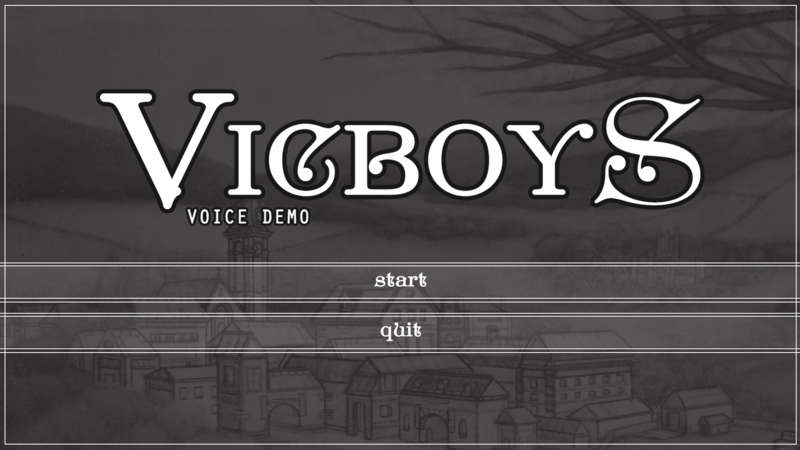 Vicboys is still in development. This demo doesn't reflect the quality of the final product. 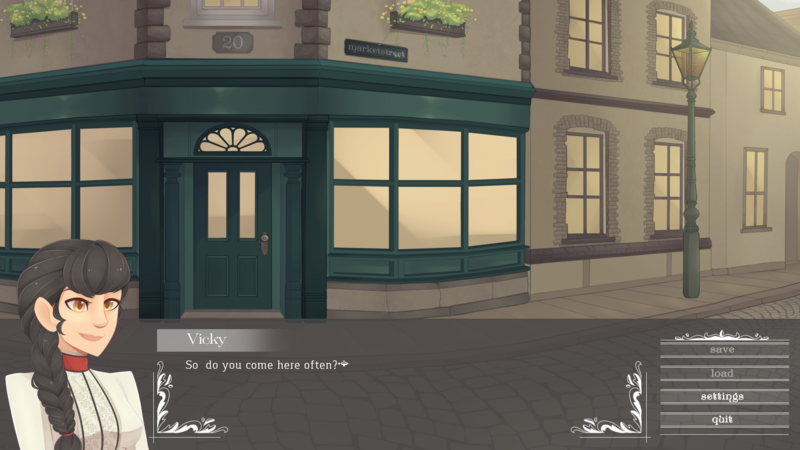 Some assets have yet to be finalised. 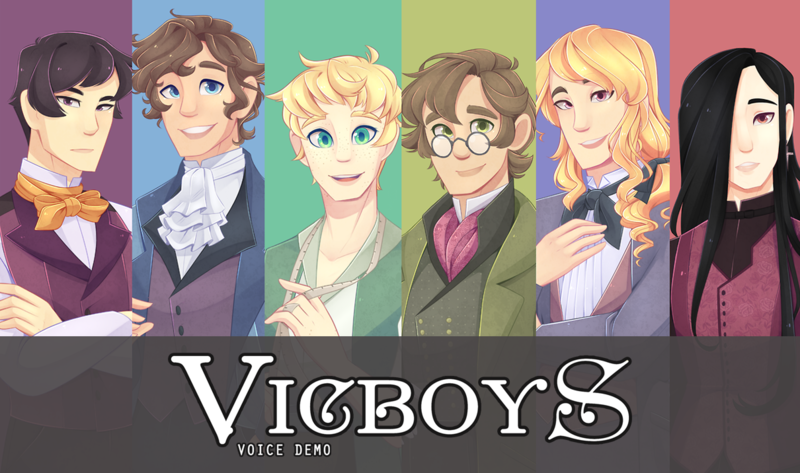 Vicboys is an upcoming Dating Sim set in the Victorian age. We've posted an open call for voice actors a few months ago. 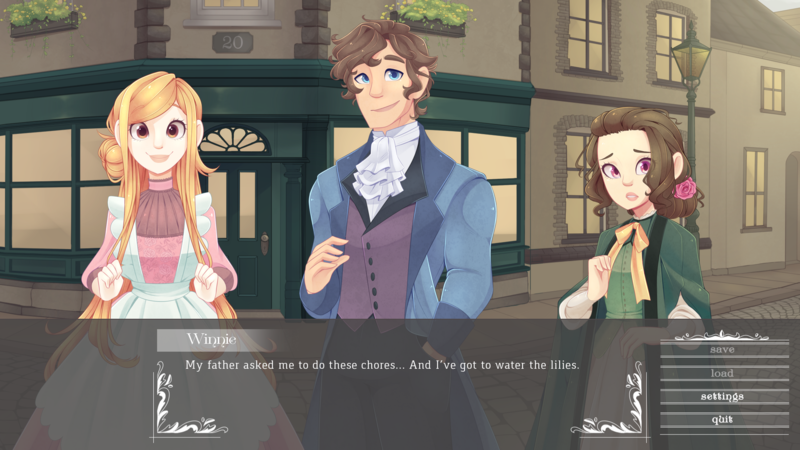 Now that our cast is complete, we'd like to introduce them to you with this small demo! 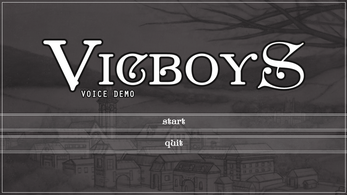 Follow our Development Blog or Youtube channel to stay up to date with Vicboys . You have no idea how excited I am for even the demo of the game to come out, I download the voice demos and was absolutely in love. Awh. Thank you for your lovely words. :) Can't believe there are still people downloading this demo after almost 1 year. 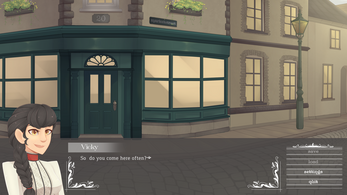 We've had some hiccups during development but are planning to release a gameplay demo soon. We'll upload it on Itch as well. Ahh I cant wait do you know an estimated date when it will be released. Haha. Glad you like them :D Thanks for the download! I loved literally EVERYTHING about this. The voice acting was waaaay better than I was expecting, and the art was the basically the main cause of me clicking onto this page. Everything was so eye-dazzling, I felt relieved to see such high-quality voice-acting and art. I hope the final product delivers. I opened up the game and I already love the music on the title screen. I'm looking forward to your soundtrack if you guys make one! Also voice acting was phenomenal. All the voices fit their respective character. The voice acting was amazing! It didn't sound choppy, it was very clear, as well as emotion flowing through the voices. I have to give credit to the art as well, the background was quite beautiful and the characters- I don't know where to start! The clothing choice and facial features varied between each character, and the eye style is quite eye catching! *badum-tss* I'm really excited for the full game! Keep up the amazing work! Definitely looking forward to the finished product!